A lot of people have built 7-figure and 8-figure online businesses by selling through Amazon FBA, but does that opportunity still exist in 2019? I wouldn’t try to start a new Amazon business in 2019 and here’s why. Want to read instead of watch? Here’s a rough script I used for the video. There were recently two posts on the Entrepreneurs of Sioux Falls Facebook group from would be founders looking to start businesses that rely on Amazon for sales, marketing and fulfillment. I think we’re starting to see some of the same interest that people had in Amazon businesses in other parts of the country 18 months to two years ago starting to come to the Great Plains. You hear stories on podcasts of people doing 7 and 8 figures in sales on Amazon. You hear about exits from people that sold their Amazon businesses. My friend Ryan Moran sold his Amazon business for north of $10 million. You hear stories like this and think, wow, maybe that’s something I should get into. Clearly there’s money to be had selling on Amazon, so why not you? I personally wouldn’t recommend anyone start a business that’s primarily based on selling through Amazon in 2019. I think the days of making easy money by importing generic stuff from China and having it sent to Amazon is largely over. All of the things that are easy and cheap to import are being imported by multiple distributors that are all selling on Amazon. When there are several different people selling listing the same products, the person that gets the buy box is the person that’s willing to take the lowest profit margin. Eventually competition on a product listing gets so tight that it’s just not worth doing anymore because there’s no profit in it. Don’t think you are going to import spatulas, or MP3 players or hover-boards from Chinese suppliers and put them on Amazon and be successful. Hundreds of people had the same idea that you have, but they jumped on that opportunity three years ago. They’re going to have better pricing than you. They’re going to understand Amazon better than you. They’re going to be established and have reviews on their product listings. It’s just too difficult to compete on generic products with people that had a three year head start to you. To compete on Amazon today, you really need to have developed a brand with a loyal following of consumers that will order from anywhere that you have products lised, Amazon or otherwise. This is an entirely different business model that involves product development, brand building, marketing, sales and fulfillment. It’s much harder to do than simply order stuff on Alibaba and put it on Amazon, but it will create a more sustainable business for you. Second, Amazon is an unreliable business partner. Your interest and their interest are not well aligned. Amazon’s business goal is to sell the most stuff to the most people. Their business goal is not to make you as a third party merchant the most money. If they see that you’re doing really well selling something, they may just decide to buy the same thing themselves from someone else and decide that they don’t need you anymore. You can see they’re already starting to do this. Amazon has its own house brand called Amazon Basics where they sell everything from batteries, to dinnerware to closet organizers. If they think they can make more money selling their own version of wahtever you’re selling, they will. In addition, Amazon is not the easiest big company to work with. Their customer support is usually overseas and not very reliable. Sometimes their perception of reality is really messed up and they just get stuff wrong a lot of the time. I’ve seen people get accused of faking reviews when they didn’t. One guy I know had his account shutdown because they thought an account that was misbehaving was related to his when it wasn’t. There’s a lot of stuff like that that happens and that’s not the type of company I’d want to do business with. Finally, people that own Amazon FBA businesses are getting out of them. They see the writing on the wall that their profitability is likely to decline in the future or they’re going to have more problems in the future, so there are a lot of them for sale. 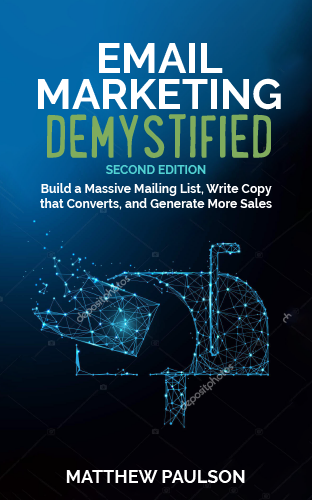 As of January 2019, 76 of the 278 onmline e-commerce related businesses that are for sale according to Centurica MarketWatch sell exclusively Amazon FBA. I think we can also see the weakness in this market in the multiples that these businesses are getting listed at, which is between 1.6x and 3.5x annual earnings. If these were hot online business, the average multiple that they list for would be closer to 4x, not the 2-2.5x that most of them end up listing for. These relatively low multiples show perceived risk in the industry on both the part of buyers and sellers. If they were super stable businesses that had a clear and bright future ahead of them, they would sell for higher multiples. Those are the three reasons I wouldn’t sell on Amazon in 2019. Number one. The easy opportunity to import stuff from China is largely over. Number two. Amazon is an unreliable business partner. Their interests aren’t aligned with yours and the support is not good. Number three, many of these businesses are for sale and they are selling for pretty low multiples. What type of business should you start in 2019? Well, maybe I’ll cover that in the next video. If you enjoyed this video, please press the thumbs up button on YouTube, press the subscribe button to get my future videos and tell your friends about my YouTube channel as well. Great post Matt, thanks very much! Looking forward to the next one. Hi Matt thanks for the post. Hope to see what we could do otherwise. I’ve been keeping a eye on this same topic for a while now and have noticed the same thing. I’d love to see what the other options are as you you are in the know. Thanks and appreciate your work.